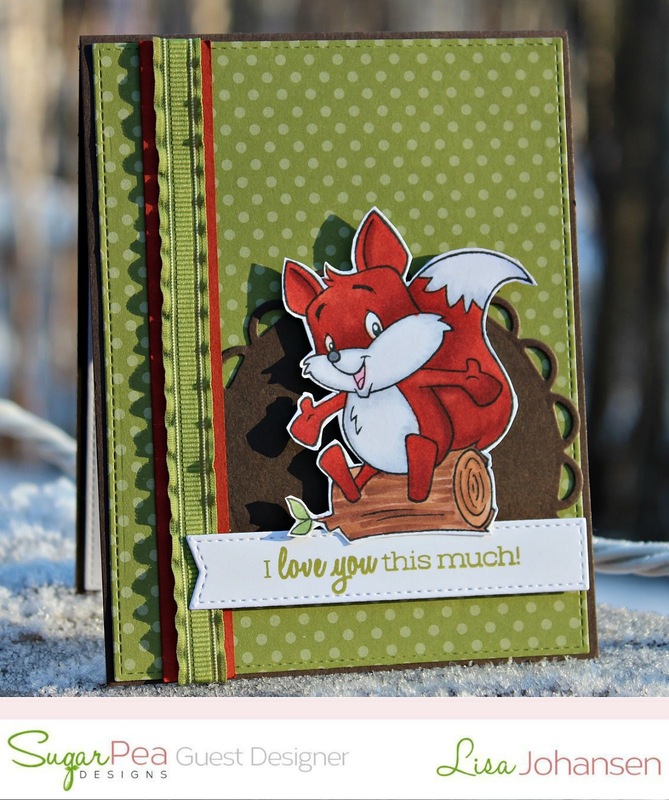 Snowy Moose Creations: Exciting News! 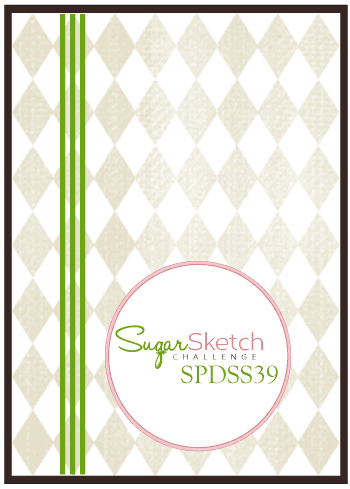 I'm excited to say that I was asked to be a guest designer over at the SugarPea Designs Sketch Challenge! I've loved their stamps since I was first introduced to them so this opportunity to work with their great team is pretty exciting! Upload to your blog or other Online Gallery using Keyword: SPDSS39 so that we may check out your beautiful work. I used their set Foxy Friend for this weeks sketch. When we first moved to Alaska in 2008 one of our very first wildlife encounters was with young fox kits that had been orphaned. It was an amazing experience and this sweet fox image always makes me think of that day! I colored him in with copics and popped him up against the circle. I added the sentiment in a banner across the bottom of the circle. Hooray, Lisa!!! So happy to be designing with you this month! I love your work. Your card is delightful! I used to love seeing all the foxes in the Yukon too. We're so happy to have you join us as GD, Lisa! 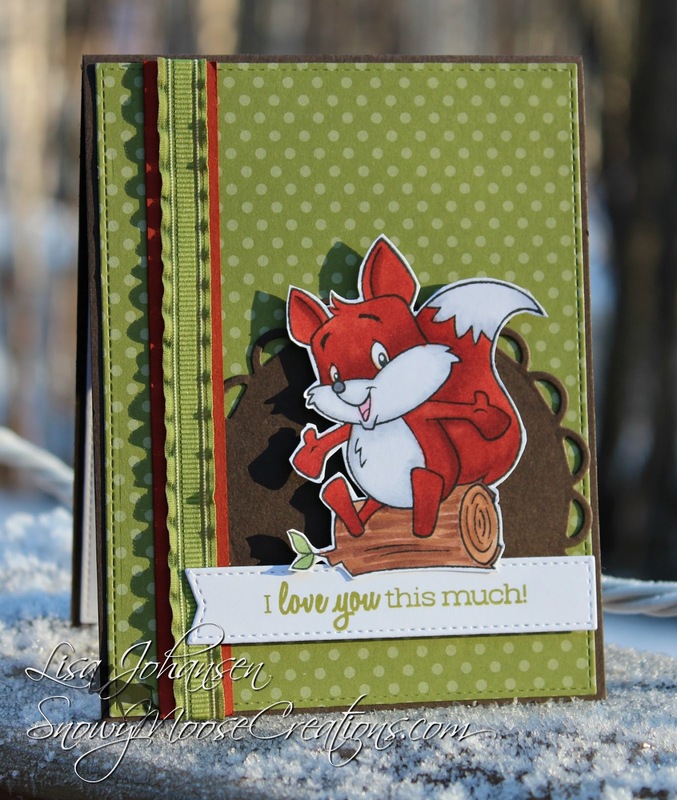 Your card is amazing - love that week fox! SUPER to have you join us at SPDSS. LOVE the ribbon on your card, super coloring too!